2. A quality ear training software. 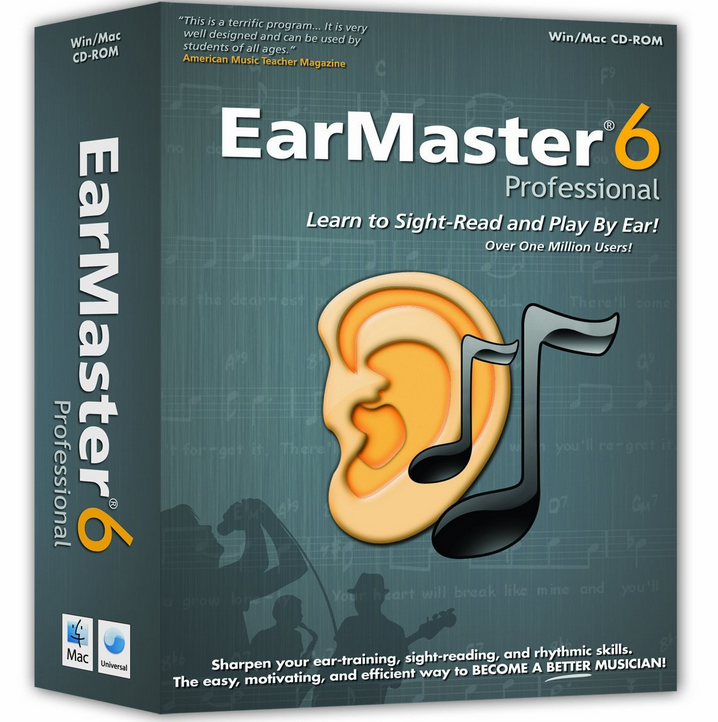 EarMaster Pro 6 is the best ear training software I’ve used. I should also note it’s for all musicians. This review will give you a full rundown of the software’s features. Check Out the Full List of Features: Here. Yes! EarMaster offers a free trial for you to test it out. Try the software and see for yourself how effective it is. I highly suggest giving it a shot! If A New Version is Released, Will I Have to Pay Full Price? No. EarMaster allows you to purchase the upgraded version at 1/2 price. Yes, EarMaster has a community that covers everything from technical product support to music theory exercises. You can get a free trial version of EarMaster Pro 6: Here. I highly recommend trying it out. EarMaster features 14 different activities for you to do. Each activity has a different ear training focus. One feature I particularly like about EarMaster is that each exercise is microphone ready. Speak, sing or clap your answers without ever having to use your keyboard. Use your computer’s microphone or an external mic. This option’s great as speaking the notes/intervals helps with memorization. The same result is not reached as well by simply typing. In today’s tech savvy world, one feature EarMaster lacks is an App. A mobile app to compliment the training program would be an invaluable resource. Additionally, the lack of chord and scale libraries surprised me. For an ear training software, I feel like these two things should be key. I love EarMaster. I have been using EarMaster 5 for many years now and have improved my ear greatly with it. I recently upgraded to EarMaster 6 and the improvements are mind blowing! 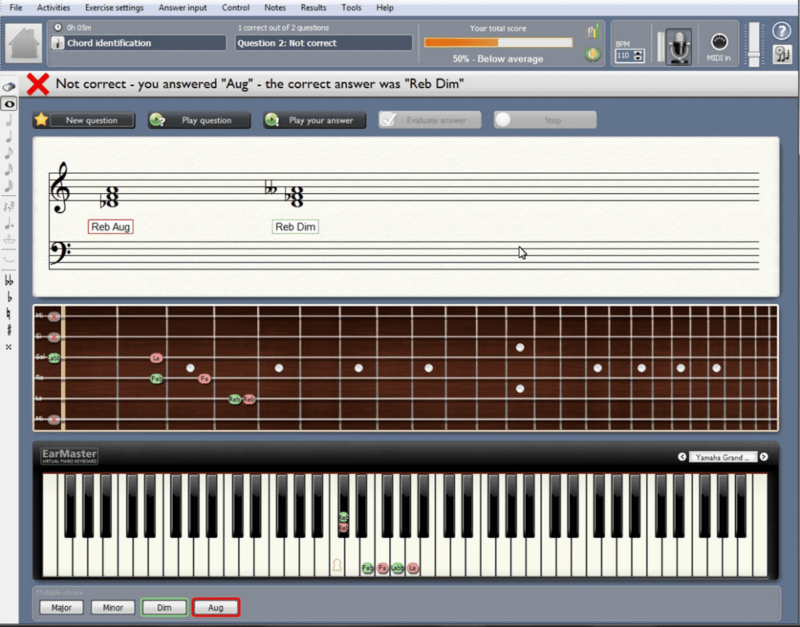 Better graphics, better sounds, more lessons, sight singing etc. I study at a music conservatory near NYC, and this program compliments my course work so nicely. Your program is awesome and I am making great progress. I have been playing classical guitar for almost 20 years now and I have tried other perfect pitch programs and failed at them.. Your program is like.. a teacher in front of me. When I make a mistake, it fires it back at me and pushes me to learn. I will recommend this to all of my students and fellow musicians. Read More EarMaster Reviews on Amazon.. I believe that in today’s tech savvy world, every music student should have a quality ear training software. I’ve been teaching guitar for many years and few tools have proved as helpful and effective as this one. You should to at least try the free trial of EarMaster. After all, what’ve you got to lose? It’s free! I hope you found this review of EarMaster ear training software helpful. It’s a product I recommend to all of my students. Have you tried or do you own EarMaster? What do you think about it? Please leave any comments or questions in the box below. I’ll get back to you within 24 hours, usually much less. Thanks for reading! Hi James, thank you for the comment. A good ear training software is the best way to fix being tone deaf! Earmaster is definitely a tool that would benefit you greatly. For someone who does not play a guitar but loves music, this review was full of great, insightful information. In fact…If I had the dough I would purchase this product for my grandson who plays the guitar by ear now and constantly surprises me with his finesse. I expect it would make a big difference for him. Would it help with his growing interest in piano too? Thanks for creating this review! Hello Linda, thank you very much for your kind words. I’m glad you found the review helpful and appreciate the comment. EarMaster would absolutely help him with learning piano as well. In fact, it will help him grow as a musician completely- transferring to any instruments he decides to learn. 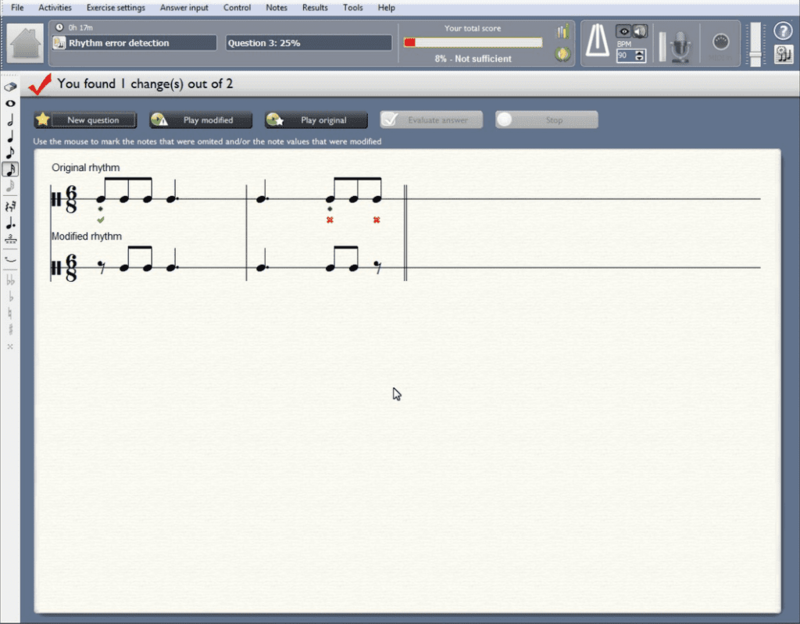 A good ear training software will train the ear to recognize pitches, intervals, rhythms, etc. These are all aspects of music that apply to any instrument, even singing! Thanks again for the great comment! Great review – contains all the information I would need to decide whether this is for me. You certainly know your subject – and building trust is very important. Well done! Hi Phil, thank you very much for the comment. I’m glad you found the review helpful!